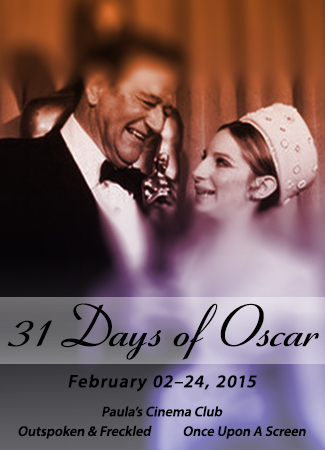 Continuing an Oscars tradition – albeit a much newer one than either the legendary awards or Mr. Wayne’s impressive career – Kellee (@IrishJayHawk66) of Outspoken and Freckled, Paula (@Paula_Guthat) of Paula’s Cinema Club and Aurora (@CitizenScreen) of Once Upon a Screen are back for the third annual 31 Days of Oscar Blogathon. 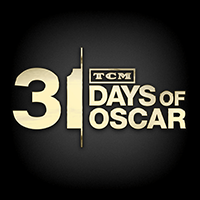 We started this event to coincide with Turner Classic Movie’s (TCM) 31 Days of Oscar marathon during which the network shines the spotlight on the storied history of the Academy Awards. This February promises to be another stellar programming month for TCM, a month filled with fabulous tales and screen wonders – many of the stories, players and films we love. In fact, the network is kicking things off this year in spectacular style on February 1st by dedicating its prime time line-up that day to The History of the Oscars with the 2014 documentary AND THE OSCAR GOES TO… If you can’t take the entire month of February off from work or send your kids to your relatives then be sure to clear your DVRs! 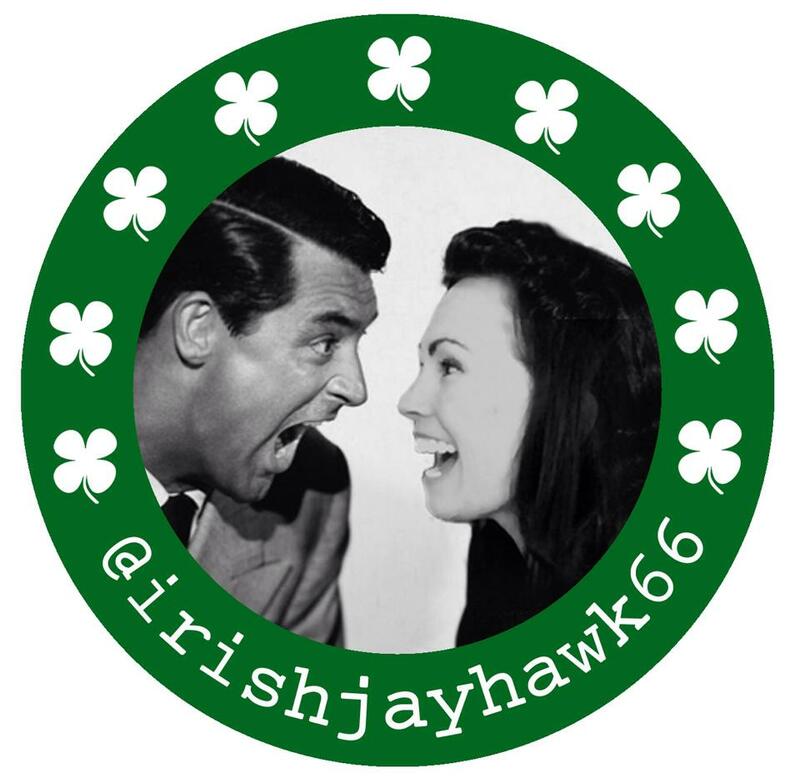 AND join the blogathon. 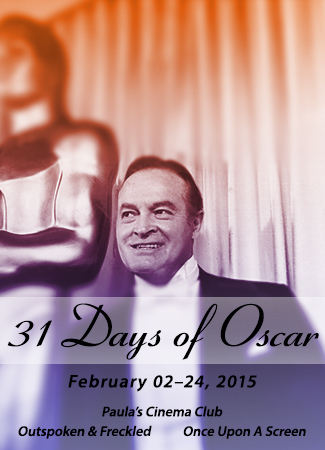 For four weeks in February we hope you’ll share stories about the films and players in Oscar’s distinguished history. Tell us about which films, actors or directors deserved an Oscar nod and were ignored or about which films inspire you with their music or lighting. We are not limiting this event to classic film fare, we want to see and hear it all from the golden man’s more than eighty-five year history – including information and commentaries on this year’s nominees. Just as we did last year, which proved a big success, we will be focusing on a different Oscars topic each week — note that you can join us at any time during the month! 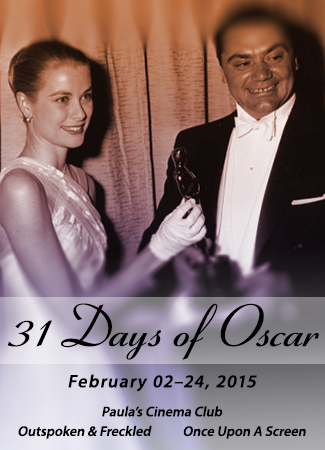 February 23-24 PICTURES AND DIRECTORS! It would also be great if you can include any of the banners included in this post on your blog to help us promote the event. 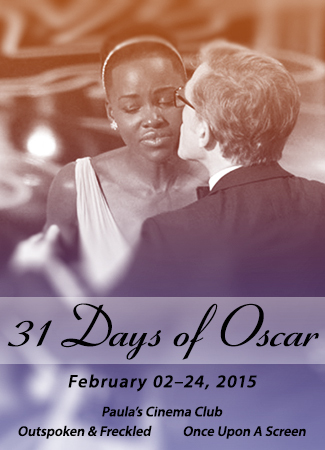 And all submissions should link to at least one of the host sites and include the banner as well. 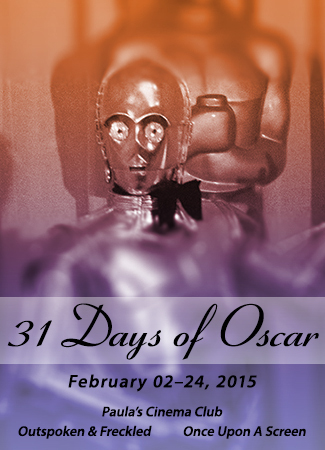 PS – You may want to peruse the entries for the two previous 31 Days of Oscar Blogathons for inspiration – no doubt you’ll be duly impressed. Yay!! So glad you three are hosting this wonderful blogathon again this year. I left notes on Aurora’s and Paula’s sites, but I would love to do the nominated screenplay for “My Man Godfrey” (CRAFTS) and the nominated Norman Taurog for “Boys Town” (DIRECTORS). Will provide links when the time comes. Woo hoo! Can’t wait! Wonderful!! Excellent choices! 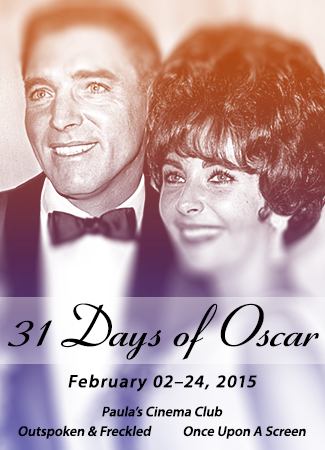 So fun to be joining my fellow pals in our blogathon trio for this mega event. Always great articles submitted- and definitely looking forward to yours! This is going to be super fun. This is the first time I am doing one of these so I am super excited. I would like to talk about Bette Davis and her Oscar wins and nominations (Actors) and I don’t know if this is considered an Oscar snub, but despite her popularity and great performances, Marilyn Monroe was never nominated for an Oscar and neither was Alfred Hitchcock, so I would like write about them as well. You got it! Sounds FABULOUS! So are you thinking about 1, 2 or 3 blog posts? 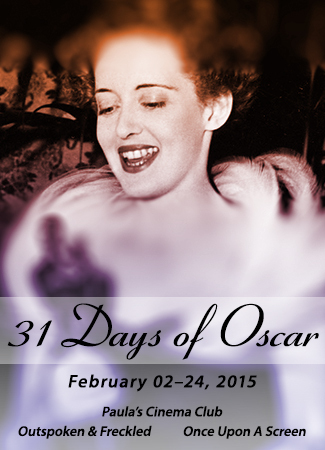 Bette could be a separate one in the Actors week and you could do Marilyn & Hitch in the Snubs- right? We’ll put you down, gal! Just wondering — well, more than wondering; I’m intensely curious! — what did you mean when you said that Martin Scorsese said this blogathon is “da bomb dot com”? Thanks. Linda. It was my way of being humorous and clever. I would LOVE to read what you’d have to say about MARILYN MONROE never having received an Oscar nom! Hopefully you will decide to write about that. I’d love to read it! Linda. Yes! That is what I wanted. 🙂 Three blog posts. 🙂 Thank you!! I’d like to contribute a post during the Snubs week. The two unacknowledged best supporting actor performances from 1975. I’d bet you could guess one but there is another I think was undeservedly skipped. Sounds like a perfect topic to tackle! I’m very interested in your picks. Robert Shaw in Jaws, perhaps? Looking forward to it, Richard! I’d love to participate, Kellee! I am not 100% settled yet, but I have ideas for all four categories! Fabulous, Caroline! Four…my, aren’t you the ambitious one? Whatever you chose, I’m sure it will be a treat to read- just let us know! Sounds wonderful, Karen! And thoroughly appropriate. We’ll put you down! GREAT idea, Leah! We’ll update the list with this! SO happy you (three) are hosting this again. Please could I write about Kathryn Bigelow/The Hurt Locker for DIRECTORS and also The Great Gatsby/Theoni V. Aldredge for THE CRAFTS? Such fabulous post topics. Really looking forward to reading these! Is there still time for me to get in? I’d like to write about Bruce Willis’ snubs. The Sixth Sense (six nominations) and Pulp Fiction (seven nominations), but none for Bruce. You got it! Just watched Bruce in The Fifth Element yesterday- one of my favorite films. So many iconic film moments Bruce has created, including another ‘new classic’ fave of mine- Die Hard. Can I squeeze in a last minute Actors post on Eleanor Parker and Hope Emerson in CAGED at themoviegourmet.com? Is there still time for me to participate in the Actors blogathon by writing on Eleanor Parker and Hope Emerson in CAGED at http://www.themoviegourmet.com? YES! I will post announcements with links for the ACTORS tomorrow and Tuesday. Just send me a link as soon as it’s ready. So I can promote, please give me your twitter handle too (if you tweet). I will promote on our sites, other FB film community sites and via twitter as well. Thanks, Scott! I forgot the link lol! Hooray! Well, I won’t post until Monday as ya know, but this way I can get my reading started 🙂 Wish I was as organized as you, gal! I’d like to write about CASABLANCA (1942) for best writing. I’d like to write about MORNING GLORY (1933), which didn’t win for best picture but KH won for best actress but can I submit it because I want to talk more about the movie as a whole than about KH as an Oscar-winner…? Great choices, Margaret! 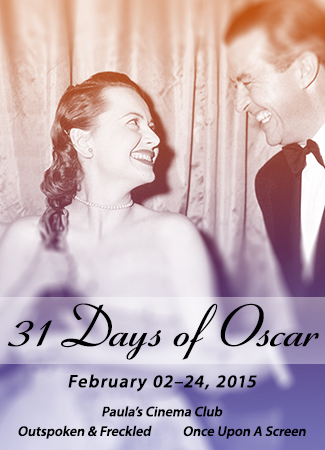 The best writing for Casablanca would fit in nicely into this week’s theme (submissions due today or tomorrow). As for Morning Glory, that could be submitted for next week (due 2/23 or 2/24) although technically speaking it sounds more like a ‘SNUB’ choice (last week’s theme). I hope that works for your schedule? Looking forward to reading! Sorry I’ve been sick since yesterday. I’ll get this updated to my Week 3 post and RT you! Wonderful! I will add your link and contact info to Paula’s (@Paula_guthat on twitter/ http://paulascinemaclub.com site) list. She’s hosting this week with her first day’s post and promos kicking off tomorrow. Thanks so much, Niall!